The 10 Most Common Pre-Wedding Questions… and Our Answers! Okay, you’re engaged. Now what? 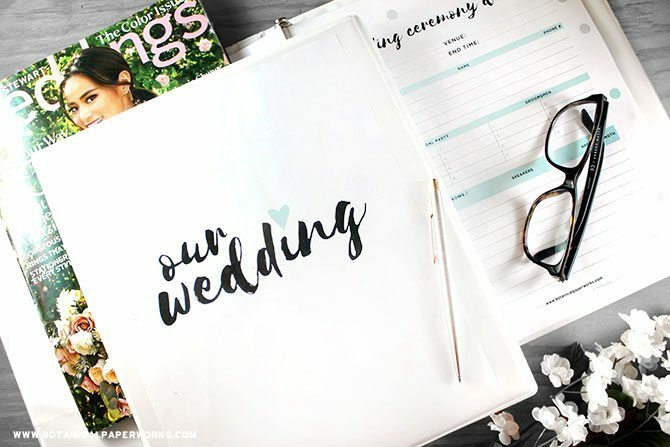 If you’re starting to feel the wedding planning jitters and don’t know where to begin, knock out some of these worries right now? Below, you’ll find 10 of the most common pre-wedding questions with our answers included. From wedding invitation woes to what to check out on the venue contract before it’s booked, you’ll find it all served up in an easy way without an extra stress included. Question: Do I even need a wedding planner? If you have any doubts on how you’ll get things done or any worries about how you’ll make decisions, coordinate, and the like, then hire one. A lot of venues will provide one with your event package and other times you may want to hire the planner before you even decide on the destination. Either way, their job is to make sure that everything goes off without a hitch. They make sure that nothing is forgotten. And most importantly, they have existing relationships with vendors. They know where to go, who to ask, and what you’ll actually need throughout the planning and creating process. Question: Should we do a first look? This one is really all about personal preference. But maybe providing you with some pros and cons with help with you decide. Enjoy some couple time. You don’t get a lot of “us” time throughout the big day and since it’s an event that’s all about the two of you, it’s nice that some time is carved out just for that. You may feel more freely. Without all eyes on you, seeing each other for the first time may be even more special. You’ll be able to feel every ounce and shed some tears without feeling judged or embarrassed. Plus, getting the weepiness out of the way before the ceremony may end up having the vows go a bit smoother as well. More time for photos is a definite benefit. 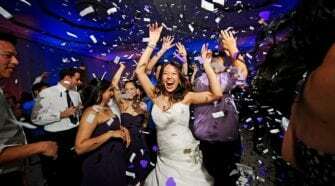 Your photo-ops will be a bit fresher (think hair and makeup) and without too much rushing since you’ll be wanting to get to the party after the ceremony is over! It may be a bit awkward. A lot of times the idea of the first look is more romantic than reality. Brides and grooms see each other for the first time and don’t really know what to do or how to act. That stomach dropping wow moment as you make your way down the aisle may be watered down a bit. Since you’ve already seen each other, that wow moment isn’t as grand as it would have been otherwise. There may be an earlier alarm clock time with a first look included on the big day. You’ll have to be ready at least 1-2 hours earlier if you want to fit photos in as well. It’s considered bad luck. Do you really want to take the chance? Question: Are plus ones a must? Simply put, no, you don’t have to. 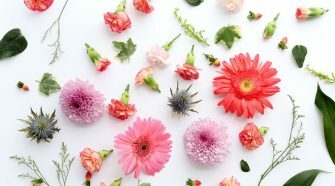 If you have a strict budget and limit on guests, it’s quite possible that allowing dates just won’t fit in the budget. The rule is, if a guest isn’t married or in a serious relationship, it’s perfectly acceptable to invite them “solo.” Now, if they are married or engaged, it’s considered tasteless to not extend the offer to the their significant other. Question: Is a band or a DJ better? This is all about personal preference as well. What kind of vibe are you going for? What’s your vision for the “party” portion of your big day? Depending on those answers, depends on whether you should opt for a DJ or live band. If you want a large variety of musical genres, it’s best to stick with a DJ and create your playlist for them. But if you want that big band theme, or something only bluegrass or jazz-inspired, try going with a live band that dives right into that sound. Think about budget as well. Live bands tend to be a bit more expensive than a DJ would be – and with a DJ you get a built-in master of ceremonies as well. Just make sure you mesh with him/her so you know that their personality matches with what you want for your celebration. Question: What should we not cut the costs of? If there’s only one spot we’d urge you not to skimp on, it’s the photography and/or videography. Even if you don’t have the best chairs at the reception or not as many flowers as the latest spread in Style Me Pretty, you can still have incredible photos that last a lifetime. You’ll want beautiful photographs of you and your bride or groom, but if your photographer is subpar, you won’t be able to remember all the hardwork you put into the wedding day let alone how gorgeous the two of you were! Question: Do we really need favors? Favors are meant to show your appreciation for your friends and family coming and celebrate the big day with you. It’s a beautiful gesture, but they certainly aren’t required. We doubt that your guests will even notice that the favors have been nixed. But, if you’re worried that they might, and you don’t want to be left with lots and lots of random nick-nacks, pick an edible instead! Seasonal, mini treats like salted caramel cookies or truffles are a great idea! Question: Should we stock the bars ourselves? Don’t do it. You’ll end up spending more money than if you went with a traditional bar at your venue. Although, if you have a “Stock the Bar” party, where friends and family bring a little something each, then you’ll be saving money on both ends of the spectrum. Question: When should I send the invitations? Wedding invitations go out 6-8 weeks before the wedding day. This gives ample time for RSVPs to roll in and you to let the venue, caterer, and the like know how many to expect. It’s important to note that destination weddings deserve even more time, especially for those that need time to make travel plans, let work know, find child care, etc. Question: Do I need to add the dress code to the invite? 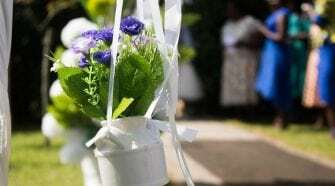 You don’t need to, as guests can take hints as to what the formality of the event is. 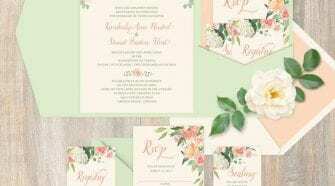 Time of day, venue, and even the style of the invitation will be hinting at what’s to be expected when the big day arrives. But, if you’re worried that some guests won’t be able to figure it out, you can add it onto the invitation in a subtle, tasteful way. 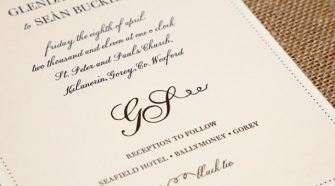 In a lower corner of the invite or even the RSVP card, add the words “black tie,” “cocktail attire,” or “casual-attire” so everyone is informed. Question: What do I need to know about the venue contract? What is the time limit on the venue? What’s the parking situation? Where can guests park? Is it free? Is the price of alcohol included or will be added based on usage after the event? Are you allowed to use any of your own vendors? Is there an added charge for using your own vendors? What rentals are included in the price? Are the set up and clean up fees included in the price? Does the price include gratuity? Taxes? 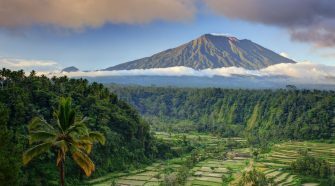 Why Should You Get Married in Bali? How Can I Involve Important People in My Wedding (Outside of the Bridal Party)? Do I Need to Get My Bridal Party Gifts? 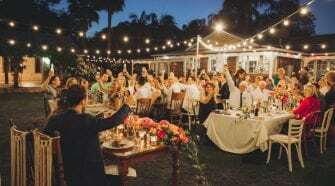 Is It Okay to Have a Backyard Wedding? What’s With The Garter Toss During The Reception? 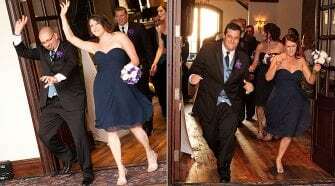 What is the Order of the Bridal Party Entrance? 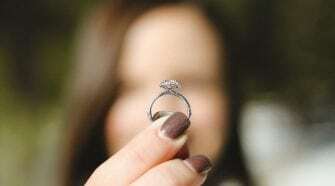 Is it Okay to Wear Your Wedding Ring on the Right Hand? 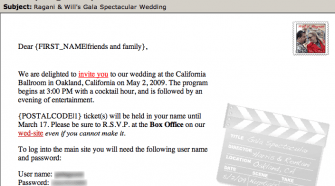 Is It Okay to Email Wedding Invitations? 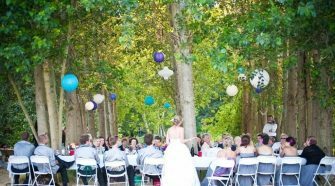 How Can I Throw An Eco & Budget-Friendly Wedding? 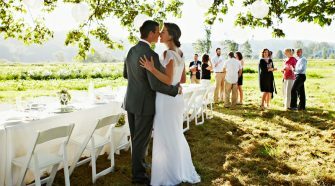 Are Porta Potties Needed at My Wedding Venue and How Many Do I Need? If Someone is Invited to the Shower, Must They Be Invited to the Wedding? 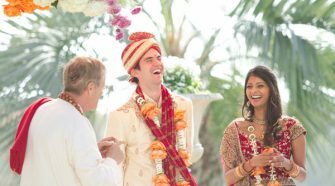 What are some creative ways to have a multicultural wedding? Do I Need To Include The Dress Code On The Invitation? [Q&A] Is it okay to have my wedding without a bridal party?